The most common complaint when it comes to Chromebooks is the price. Google addressed this issue by dropping Intel's expensive CPUs and switching to the ARM architecture in the latest Samsung Chromebook, which only costs $250. 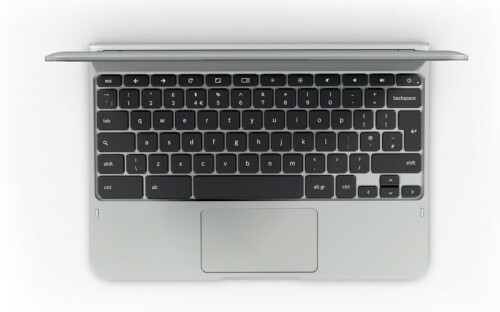 The new Chromebook is thinner and lighter (0.8 inches, 2.5 lbs / 1.1 kg), supports dual band Wi-Fi, USB 3.0 and Bluetooth 3.0, but the screen has been downgraded (11.6" - 1366x768 instead of 12.1" - 1280x800 matte display), the laptop only has 2GB of RAM, a 0.3MP camera (down from 1MP), a 1.5W speaker (down from 2x2W) and no longer includes a 3G modem or an Ethernet port. It's also a lot cheaper than the high-end Chromebook 550, which costs $450. The Verge says that the build quality is "decent but not inspiring" and the display "offers little in the way of brightness and color representation. Hues are subdued and text can be difficult to read with conflicting light sources." 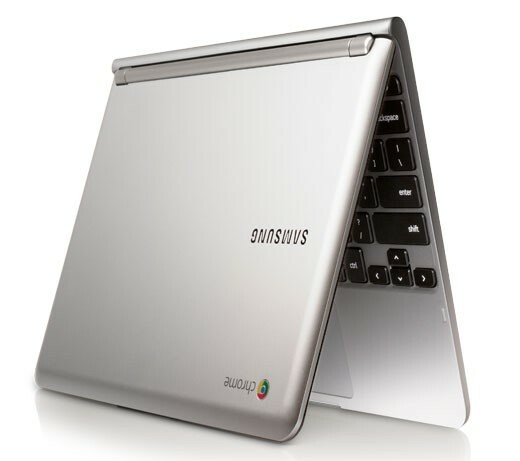 Samsung's Chromebook is the first device that uses the dual-core Exynos 5250 chip (Cortex A15 with 1.7 GHz clock speed), which will power Samsung's future tablets. The chip has a lot of impressive features, including support for 2560x1600 displays, 1080p 60 FPS video, USB 3.0, 5.1 channel audio, HDMI 1.4, 3D graphics. Whether you buy the ARM laptop or the Intel-powered laptop, you also get 100GB of free Google Drive storage for 2 years, but this offer is only for the new customers. 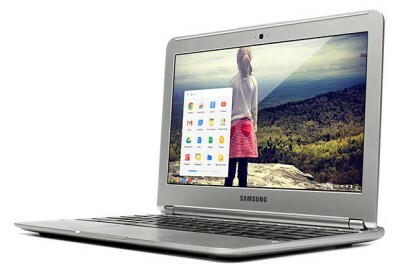 "The new Samsung Chromebook is available for pre-order online from Amazon, Best Buy, PC World and other retailers. Next week it will be available for sale from these same online retailers as well as the Google Play store. You can also buy them at over 500 Best Buy stores across the U.S and over 30 PC World and Currys stores in the U.K," informs Google. Will it have Linux arm flash? It's disappointing to hear they used such a powerful chip but didn't do more with it. My guess/conspiracy is Samsung wants to claim "first" on using the capabilities of their chip so they told Google to hold back the design. My other question is whether I could dual-boot ARMedSlack Linux (or whatever ARM Linux distro you like) on the laptop. That would be the coolest feature! 100 GB for two ;years? what happens after 2 years? You can still access the files you've uploaded. From Google Drive help center: "When you cancel your storage plan or when your storage plan expires, your storage limits will be set back to the free levels for each product at the end of your billing cycle. Everything in Google Drive, Picasa and Gmail will still be accessible, but you won't be able to create or add anything new over the free storage limit." If you watch the second video from the post and look at the YouTube video player in full screen mode, you'll notice a message that makes it obvious that it runs Flash: "press esc to exit full screen mode". Chrome's message for full screen HTM5 video is slightly different and it's placed at the top of the window. which runs videos from netflix and the like better? which plays videos from netflix, hbogo and the like better/smoother?